How exactly does Brand work? What is the correct way to communicate that you are skipping to a phase/end of turn without declaring each phase/step? Do I keep control of all creatures? Untap all creatures and gain control of them until end of turn. They gain haste until end of turn. You can definitely make Omnath, Locus of Rage competitive. I have a friend who plays it. Ramp is your best friend. And Sac Outlets are your best friend along with some wrath effects. Purphoros, God of the Forge works wonders in the deck, especially along side the staples of Avenger of Zendikar and Rampaging Baloths . 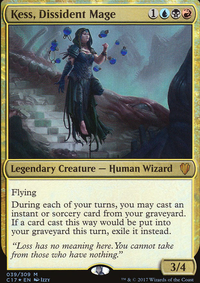 Cards that you need to make the deck function better are Explore type effects: Oracle of Mul Daya , Azusa, Lost but Seeking , Exploration , Explore , Enter the Unknown , Journey of Discovery , Mina and Denn, Wildborn , Summer Bloom , Wayward Swordtooth ... These work to great effect in getting the most out of Omnath's triggered ability and might hinder your opponents' plans of sweeping the board. 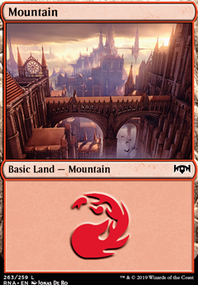 Also, you should be running more lands than the usual EDH deck because you want to be able to keep playing lands. 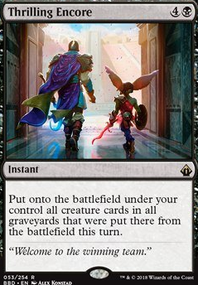 Recursion is also what will assist in the control metas: Regrowth , Eternal Witness , Den Protector , Greenwarden of Murasa , Recollect , The Mending of Dominaria ... These will help you maintain use of the cards that get removed. Also it allows you to let your general go to Graveyard and get it back to cast it for regular CMC. 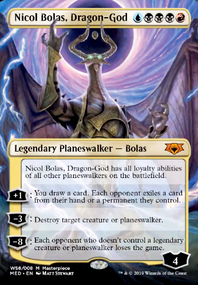 As for sac outlets, you have a great one in Goblin Bombardment and Greater Good and also Ashnod's Altar and Phyrexian Altar . As for some sweepers: Chandra's Ignition and Star of Extinction are good ones. Hour of Devastation does some work. Insurrection is usually a good game finisher. The world is your "oyster" good sir! So have at it. And happy shuffling. Hope this helps. I'm glad my two cents worth could help your decision. I didn't realize how good Rhythm would be in Thromak until holding a freshly pulled copy in my hand, wondering if any of my decks wanted it. As soon as I thought of the hungry hellion, I was super stoked. I haven't actually gotten to play with the deck since adding it, but I expect it will be useful. Earlier suggestions included effects that steal opponents' creatures; I run several myself. However, all I run are sorceries ( Insurrection , Mass Mutiny , Mob Rule ) and an instant ( Grab the Reins , which also can also be a second Fling ). Captivating Crew sounds like a great idea, and one I might try to work into my build. Other creature - based options include Zealous Conscripts , Conquering Manticore and Molten Primordial , but they're much more mana intensive. Since you're thinking about using elves to ramp anyway, this might not be an issue for you. While searching up creatures that stole those of your opponents, Varchild, Betrayer of Kjeldor popped up. I think this may be a card for us both to consider, as it gives creatures upon death and plays nicely with trample. I second the suggestion of Awakening Zone and From Beyond as repeatable sources of mana or sac fodder, as need be. I run both, though I have no targets for the tutor effect on the latter. (Well, I mean, Blisterpod , technically, but I don't foresee myself searching that up too often...). I hadn't thought about turning lands to creatures so they can feed Thromak, but that's something I'll have to look into. I run Dryad Arbor for that purpose; not sure why I didn't think about Living Lands , etc. So the scenario goes, someone played a Chromeshell Crab face down and morphed it, taking control of my Apocalypse Hydra . The turn came back around to me. I drew an Insurrection tapped out and played it. So, I took possession of everything, proceeded to swing with everything but a blocker. I took out the opponent that took control of my apocalypse hydra and one other opponent. 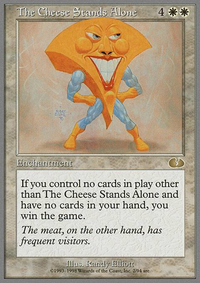 We were playing commander so I still had one opponent left. The question is since I took out the player who took possession of my hydra, would I regain control of it or would it go to the grave yard? I thought I would comment as I also chose a Pirate Tribal deck as my first EDH deck which I built about 4 months ago Pirate Tribal Final. It took me some time to work out what direction I wanted to go in with the deck, being Grixis, a preference to one or two colours seemed sensible. Also, pirates are sneaky and like treasure and stealing, right? I chose to focus on Blue, using evasive abilities to enable me to sneak pirates past blockers, gaining benefits such as card draw from Bident of Thassa and steal the permanents of my opponents with Admiral Beckett Brass . 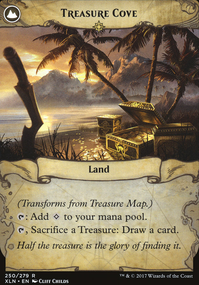 I also went for a treasure subtheme, using cards such as Revel in Riches , Brass's Bounty and Mechanised Production to rapidly generate treasures, either as win-cons or for high-cost spells such as Insurrection or Kindred Dominance . At the moment, your deck is about equally balanced between all three colours, with limited mana fixing (which treasures would help with), therefore you might stall early by drawing the wrong combination of colours. I would maybe try and lean a bit on one subtheme/colour, more than the rest. Also, you have a number of weak cards in the deck at the moment, Lightning-Rig Crew , Wily Goblin , Sentinel Totem , Smelt , Act of Treason , Fevered Visions , Navigator's Ruin , Raiders' Wake etc. to name a few. Additionally, you use a lot of cards to tap opponents creatures, rather than making yours evasive/unblockable. Many of those cards aren't providing sufficient power to justify their inclusion. TLDR: I think you are trying to do too much and therefore your deck is spread too thin in important areas. I would pick a specific game plan and build around it. She's currently in the batters box of decks I have started buying cards for even though I haven't decided on a final design. First question. 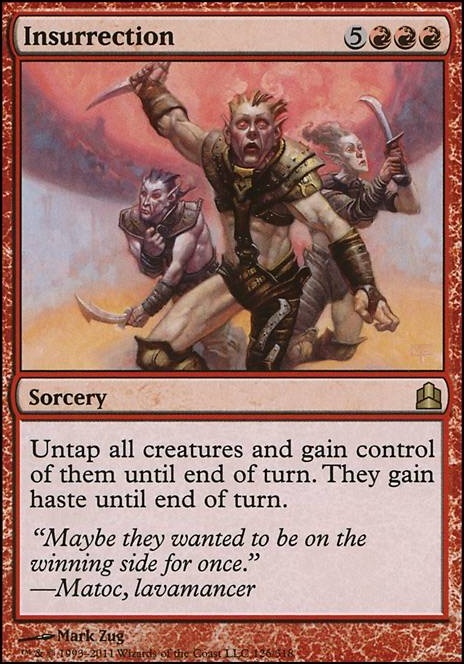 What is your opinion of running one-off ramp like Mana Geyser and Cabal Ritual to get you to the point where you can actually cast Insurrection ? It seems like the most Game Over card in the deck but I'd imagine actually getting to the point of casting it doesn't happen too often. Second. I'm really iffy about relying on combat damage to win the game. Maybe it's just the meta I'm running in but unless Craterhoof of Triumph of the Hordes is involved I don't often see games ending because 3 people had their life total reduced to zero. I guess what I'm asking is, what is the finishing power of the deck? 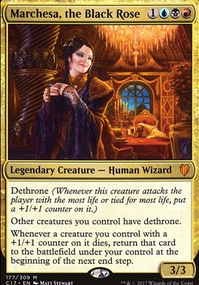 Would cards like Hatred or Grafted Exoskeleton possibly be good includes? Third. How would the deck perform in a creature light meta? Tribal is the exception and not the rule around these parts and there are a lot of games I'll be playing against 2 or maybe even three decks that run below 20 creatures. In a lot of cases less. Fourth: What would you think about shifting the ramp from artifacts heavy to mana dork heavy? My thinking here is that more bodies would help push the aggro once you've sufficiently ramped and could be sacced to an Altar for casting big spells. It would also enable running a bunch of mass artifact hate to attack other people's ramp. Fifth: This sort of ties into the last one. How hard is it to get sufficient amounts of the colours you need? Because I'd like to go much heavier on basics and run non-basic hate like Bad Moon Ruination Magus of the Moon and Back to Basics . It's frowned on in some circles (not mine, but some) to go after lands but this strikes me as the perfect deck to mess with people's mana supply once you have a nice board state going. Evra, Halcyon Witness - Large creature that can be as big as your lifetotal when thrown if wanted. Zealous Conscripts - Can steal an opposing creature to throw, opposing walker to ult or any other problematic permenent. Also incidentaly goes infinite with Kiki Jiki. Kiki-Jiki, Mirror Breaker - Can tap to make copies of your big creatures to throw. Goes infinite with Zealous conscripts. Hoarding Dragon - A way to search out our game winning artifacts. Easy enough to throw at someone to get our artifact. Yosei, the Morning Star - Very good thing to be able to recur. Can lock people out of the game with enough setup. Bloodshot Cyclops - Backup Brion? Bearer of the Heavens - Dont make me do this! Godo, Bandit Warlord - Can tutor up our powerful equipment. Would prefer Stoneforge Mystic but one is a lot more money than the other. Faith's Reward - Recover from a wrath or just rebuy a couple of good creatures after a combat and throw. Orim's Thunder - Hadn't actually seen this before but it seems to be a good potential 2 for 1 while also being a good answer to artifacts and enchantments. Here there are a lot of potential threaten effects that i could recommend. But we know that we need them so i won't list them all. Other effects we could need do include one or two wraths as even though we are the creature deck, sometimes they just have more or better creatures. However other things to note. Open the Armory - Tutors equipment or Auras. Chandra's Ignition - Targetting some of our big creatures might just end the game with this. Insurrection - You usually just win if this resolves on a decent board state. Illusionist's Bracers - Copy the fling. As sacrificing a creature is part of the cost it will effectively be two triggers from flinging the same creature. Thousand-Year Elixir - Gives Brion haste and an untap. Aetherflux Reservoir - 50cal Sniper Rifle to the face anyone? Flameshadow Conjuring - Copy up our faties for good ETB triggers, effective haste or extra copies to throw with Brion. Sigil of the New Dawn - Recur everything! Goblin Bombardment - Backup sacrifice effects for all our threatens. WE don't want to have to give their toys back do we?